It is replaced by the Star TSP654. 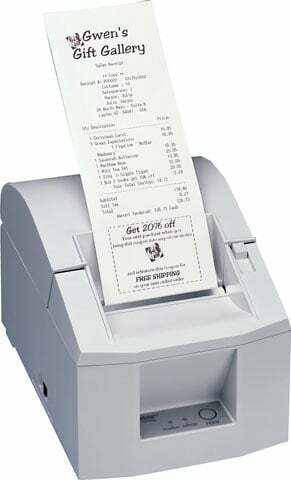 The Star TSP643 with auto-cutter is the first low cost, high speed thermal printer to offer 2 color printing support, drop in and print paper loading, LogoStore for internal graphics and coupon storage, recessed cable connectors, and auto-cutter. All of this comes packaged in a small footprint ideal for POS, credit card, and hospitality applications and backed by a 3 year warranty. Thermal, two-color printing, 4 ips, USB interface. Includes auto-cutter. Order cables & power supply separately. See accessories. Color: gray. Thermal, two-color printing, 4 ips, USB interface. Includes auto-cutter. Order cables & power supply separately. See accessories. Color: white. Thermal, two-color printing, 4 ips, Ethernet interface. Includes auto-cutter. Order cables & power supply separately. See accessories. Color: gray. Thermal, two-color printing, 4 ips, Ethernet interface. Includes auto-cutter. Order cables & power supply separately. See accessories. Color: white. Thermal, two-color printing, 4 ips, serial interface. Includes auto-cutter. Order cables & power supply separately. See accessories. Color: gray. Thermal, two-color printing, 4 ips, serial interface. Includes auto-cutter. Order cables & power supply separately. See accessories. Color: white. Thermal, two-color printing, 4 ips, parallel interface. Includes auto-cutter. Order cables & power supply separately. See accessories. Color: gray. Thermal, two-color printing, 4 ips, parallel interface. Includes auto-cutter. Order cables & power supply separately. See accessories. Color: white.